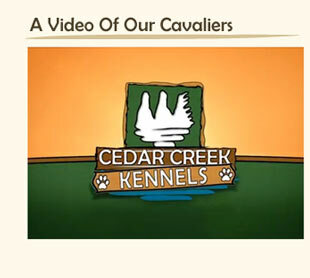 We at Cedar Creek Kennels have been breeding since 2006. 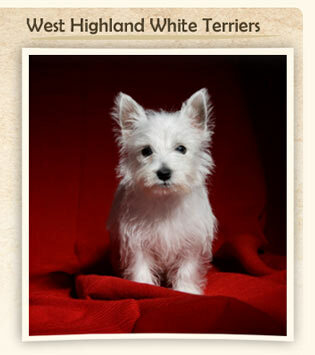 We breed Cavalier King Charles Spaniels and West Highland White Terriers (Westies), a hypoallergenic breed. We are located outside of Orangeville, Ontario, just over an hour from Toronto, Ontario. 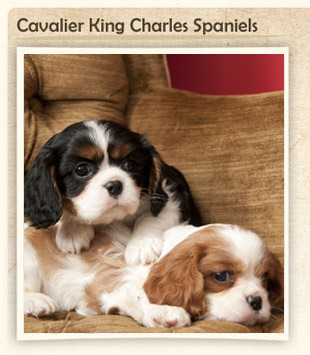 We are members of the Canadian Kennel Club and breed CKC registered dogs only. Our dogs are considered members of our family. 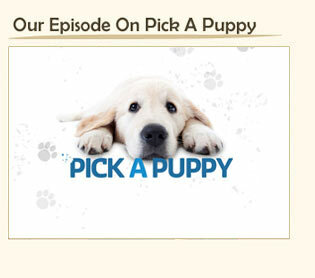 We raise our puppies in our home, with our children and guarantee socialized puppies at time of adoption. Our puppies are raised on an all natural diet. When they are ready to go to their new homes they are dewormed, vet checked, have their first set of shots, are tattooed and have a health guarantee. We hope you enjoy visiting our site. If you have any questions please feel free to email or call us and we will be happy to help.